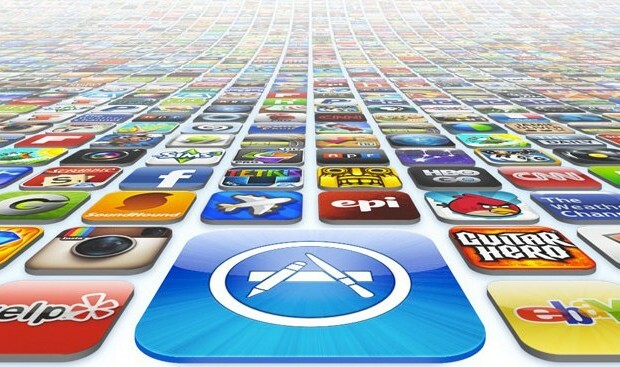 Apple users all over have noticed a rather unfortunate trend: they are no longer able to download again older iPhone / iPad games and apps that their developers have removed from the App Store. For some time, people assumed that it was a sort of a major bug that kept removing the History entries. However, that is not the case. According to the official Apple statement, it’s not a bug, it’s a feature. There was nothing to indicate that there was a huge problem within the Apple Store itself; in fact, as PocketGamer has pointed out, this is definitely a case of Apple utilizing a new policy. This further means that in order to keep your bought apps forever, you need to back them up within iTunes. So how does it exactly work now? Here’s how. In order for iPhone, iPod and iPad apps to remain re-downloadable, they have to be available in at least one local App Store for that to be possible. As soon as all the App Stores remove an item, the app won’t appear under the App Store’s Purchased tab. The ultimate result of this move that you won’t be able to download the apps that have been removed, even if you have paid for them already. Not a good business move. “If an app that you own is removed from the App Store, you will no longer be able to download it from your purchase history,” an Apple spokesperson confirmed to Pocket Gamer. “If developers remove their apps from the store, they cannot be re-downloaded until the app has been resubmitted to the App Store,” the same Apple spokesperson clarified further. Tweetbot developer Tapbots has further confirmed that the claims were valid after they have discovered that Tweetbot 3, which they have removed from sale on App Store soon after releasing the brand new Tweetbot 4, has also disappeared from customers’ Purchase histories, even though that was never their original intention. “The solution to this problem comes from keeping Tweetbot 3 up for sale somewhere, which miraculously re-enabled anyone who had bought it before to download it,” TouchArcade further explains. That seems to be the rule from now on. “The region they chose was the landlocked, French speaking, west African nation of Burkina Faso. The Burkina are the only people on the planet lucky enough to have the choice between buying Tweetbot 3 and Tweetbot 4,” the publication continues. What does this mean in effect? Simply, the developers affected by this move must actually go into their iTunes Connect accounts in order to set all their past apps for sale again in some tiny region. Even Burkina Faso would do. From now on, if you want to keep their purchases, you are advised to back up your iOS app purchases by downloading them to your computer with iTunes. That’s the only way to fight the new policy.